The SanDisk 64GB 280MB/s SD Card provides extremely fast read/write support when paired with cameras that have a USB-II bus SD card slot. If you are unsure if your camera has this, please refer to our Memory Card Basics: Choosing the Right Memory Card for Video and Time-Lapse. Store RAW, JPEG, 4K, 3D, or Full HD video on this shockproof, X-ray proof, and waterproof card at write speeds up to 250 MB/s. It is U3 rated so write speeds should never dip below 30 MB/s, making this a reliable choice for continuous burst stills shooting as well as video capture. If your camera SD slot's bus rating is only UHS-I, this card is still compatible but with compromised write speeds of as low as 10 MB/s. It will simply adhere to U1 standards instead of U3 when paired with cameras that aren't UHS-II. 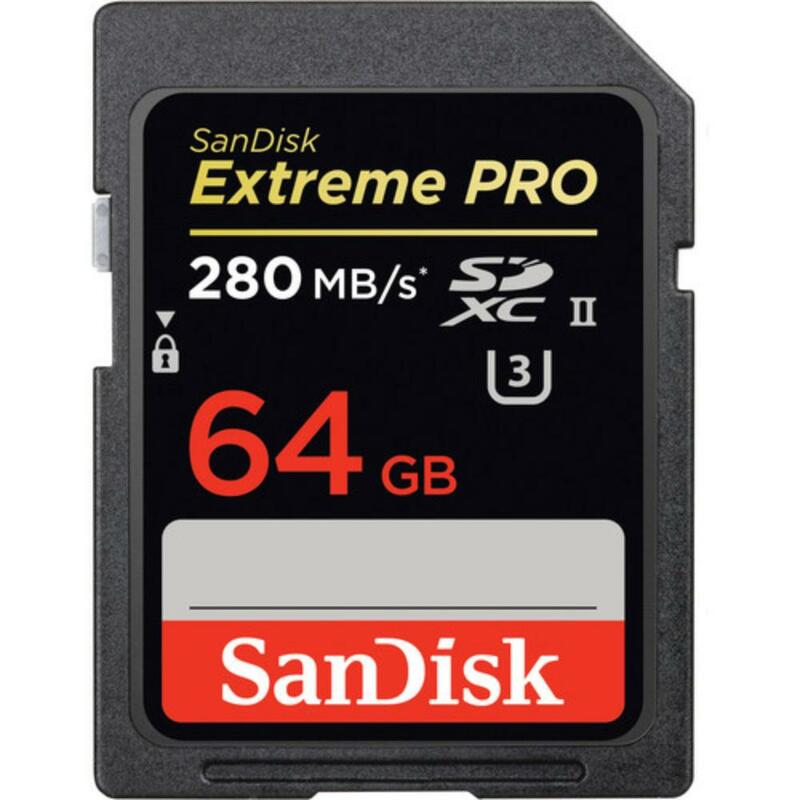 This card is ideal for sports and wildlife photographers as well as videography. • This rental is for 1 memory card and does not come with a memory card reader. Plan accordingly. • This card is designed for cameras with SD slots that have a UHS-II bus. 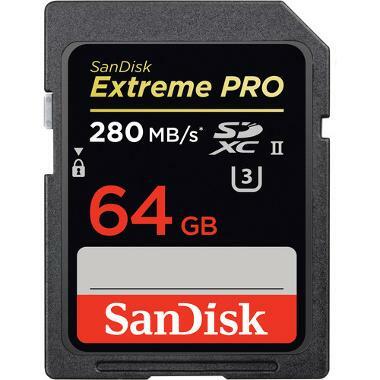 If you are unsure if your camera has this, please refer to our Memory Card Basics: Choosing the Right Memory Card for Video and Time-Lapse. If your camera SD slot's bus rating is only UHS-I, this card is still compatible but it will simply adhere to U1, Class 10 standards instead of U3 and provide slower minimum write speeds. Plan accordingly.